The Club Shop will open this Saturday for a special closing down sale event, ahead of its move to new premises here at the Mem. An array of items will be included in the sale, including signed items that have been worn by the first-team, starting at just £5. 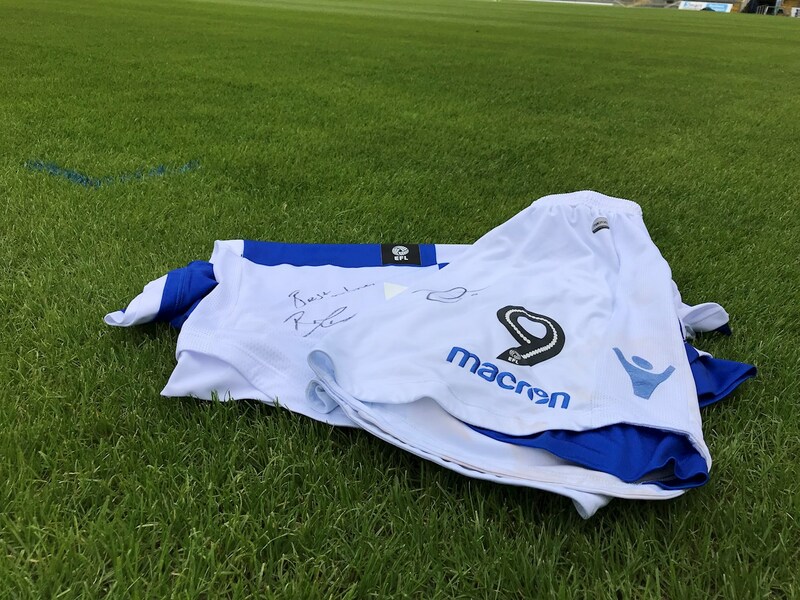 These items are unique, with a rare chance to own match-worn kit that belonged to your favourite Rovers player! 2017/18 Replica shirts will also be included in the sale, with both home and away variations (limited sizes) priced at the reduced price of £10! The Club Shop will be open between 9am-2pm on Saturday (16th June), with supporters also able to purchase 2018/19 Season Tickets in person, ahead of next week’s deadline. The closing down sale is prompted by the Club Shop moving to new premises. To find out more about the renovations to the Club Shop – please click HERE. The stock is limited – with the sale continuing into next week, but we advise supporters to visit the Club Shop this Saturday to avoid disappointment, as sizes are limited in a range of stock.